STUDY. The four horsemen of the Apocalypse. By Fabian Massa. 6 And I saw when the Lamb opened the first of the seven seals, and I heard one of the four living creatures, screaming voice of thunder, "Come!" 2 I looked, and behold a white horse! The rider had a bow, was given a crown, and came out as the winner, to continue beating. 3 When the Lamb opened the second seal, I heard the second beast, who shouted, "Come!" 4 That came another horse, bright red. The rider was given a large sword, was permitted to take peace from the earth, and its inhabitants to kill each other. 5 When the Lamb opened the third seal, I heard the third living beings, who shouted, "Come" I looked, and there was a black horse! The rider had a balance in his hand. 6 And I heard a voice among the four living creatures saying, "A kilo of wheat, or three kilos of barley for a day's salary, but not afectes the price of oil and the wine." 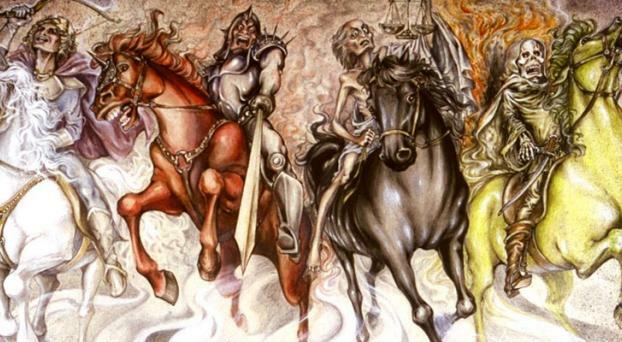 Before entering into the subject itself, let's clarify some symbolism of "the four horsemen of the" Apocalypse ". Riders are not historical figures but four lawsuits from God because of the wickedness of man. They have a history  in Zechariah 6.1-5: "These are the four winds (RUAG heb. = Spirits) of the heavens, which go forth from standing before the Lord of all the earth." These four spirits appear again later in Rev 7.1 The rider is actually the same, only changing horses will (of situation). This rider represents Humanism, ie all philosophies that lead men to the denial of God and independence. While each horse out in a sequential order, then ride together as seen in the reality of our world. I. 2 I looked, and behold a white horse! The rider had a bow, was given a crown, and came out as the winner, to continue beating. Humanistic currents appear as the big winners of the system: Believers are far fewer than the humanists. He was given a bow the bow is a symbol of power militaristic whole ancient period. Nations today strong and not subject their enemies by force of arms, but they do much more subtle wars: economic, financial, technological, counter information (or misinformation), etc. 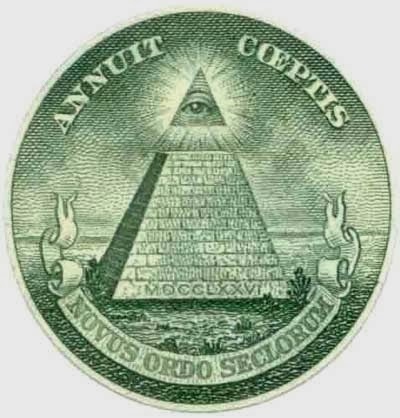 The interpretation of the figure today would be: Humanism which governs the entire system. White horses were used during parades Generals when they returned in victory represents the triumph. II. 4 In it went out another horse, bright red. The rider was given a large sword, was permitted to take peace from the earth, and its inhabitants to kill each other. The red (RV 60 Bermejo, also called "Chestnut") symbolizes the blood of many wars, if you read the entry of 16 Feb. 2013 "Signs of the End, a prophecy of Jesus" is a list of conflicts of the twentieth century, and officially declare 90 million deaths. Outbreaks in USA, Europe, etc. Their skin cleaveth to their bones, dry as a stick. Because they slowly died for want of the fruits of the earth. Lamentations 4.7 - 8RV60. A kilo of wheat, or three kilos of barley for a day's salary is, it earned a paltry workday to buy the basics. Afectes ... but not the price of oil and wine. The crisis will not affect large sectors of resources, only the proletariat. This prophecy is being fulfilled to the letter, the rich are getting richer while the common people is going real calamities. We develop in section 2. 2. The Economic Crisis - Current financial. The present global crisis affects the real economy, finance and mortgage markets. It started in 2008 in the U.S. I. Rising raw material prices due to high global inflation. II. The overvaluation of products and services. III. The global food crisis. V. And above all, the confidence of the markets. IV. Hunger in cities: Greece is drowning in growing crisis that NGO members gather food in many places the capital of Helena. This is another act of solidarity with the citizens, who suffer because of the crisis in the country. Activists have appealed to citizens to offer free basic necessities to people who need them, as poor, unemployed, pensioners destitute and even homeless. Due to the economic crisis, unemployment in Greece has shot a twenty-seven percent (27%) and mainly affects young people . V. Industry shutdown: The Spanish developer Reyal Urbis, which carries a debt of 3,600 million euros (U.S. $ 4,820 million), said a bankruptcy, the second largest in the country's history, five years after the outbreak of the housing bubble in Spain. Your logo orange, blue and white is associated with some of the most emblematic of the crisis in Spain, precipitated by the sudden arrest in 2008 of its growth engine, the construction sector . VI. Abandoned children: Several charities warn of increased children and abandoned babies in Europe simultaneously with the deepening crisis in the region . The crisis and the austerity measures in Greece are so hard that the abandonment of children for economic reasons has increased 200% in the past two years. Most abandoned are between 8 and 11 years. Children roam the streets and shelters of the country. The prophecies are being fulfilled before our eyes. It's time to focus on Christ, Week 70 is about to begin at any time. Seek God, now it can still be found. In Christ there is hope and help. And it will come in handy. Stay away from your tent affliction Job. 22.21 - 23 RV 60. 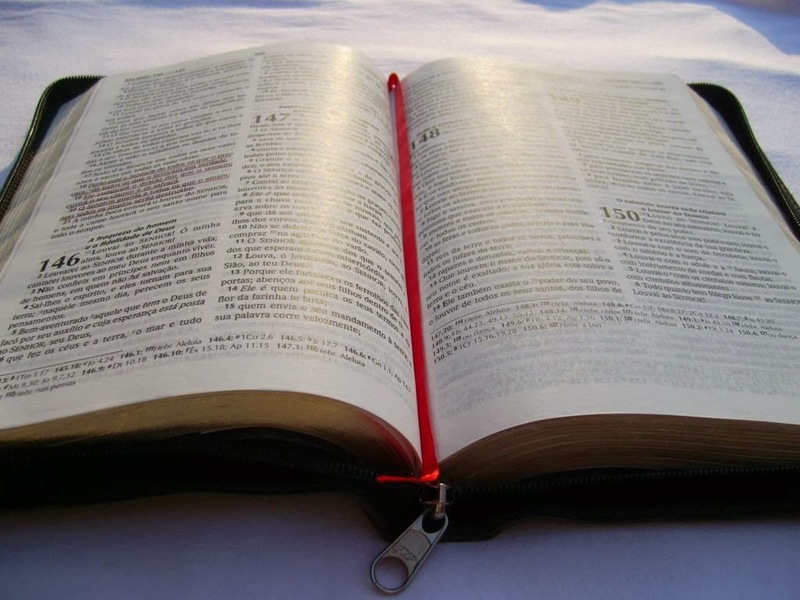 Revelation is the Greek translation of the verb apokalyptein, which means removing the veil, discover or reveal, hence the name Revelations also gives the book. It is important to note that the apocalyptic prophecies of Revelation are a "reissue and compilation" of the author of the apocalyptic prophecies made over AT Those who fail to read / study the A. T. or that place a disproportionate emphasis on the "New Covenant" at the expense of A. T. should consider that Paul (author of nearly 50% of the NT) did was recreate the A. T in the light of the revelation given by Jesus and by no means is bringing some "Brand new" old but recreated in light of the New Covenant. Apocalyptic literature is a very special kind of Judeo-Christian culture between 200 BC and 200 d. C. This literature is characterized by the use of figures and symbols, giving it a mysterious and incomprehensible halo.